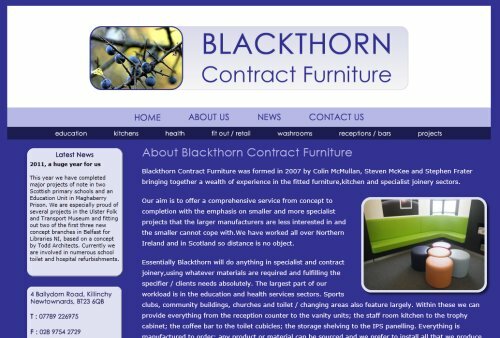 We were approached by Blackthorn to produce a website that was dynamic and colourful while being attractive to their target market and displaying their previous projects in an eye catching manner. The company produce a wide range of contract furniture for healthcare, education, commercial, industrial and domestic applications and pride themselves in building unique and modern solutions for their customers. The site contains a number of galleries allowing customers to view recent previous projects undertaken by the team. An email marketing campaign will backup the companies online presence.